Radiation levels inside of a damaged nuclear reactor at the Fukushima-Daiichi nuclear power plant have reached alarming heights. Recent readings from nuclear reactor 2 indicate that the radiation inside is hundreds of times higher now than ever before — six years after the fateful nuclear catastrophe in 2011. Tokyo Electric Power (TEPCO) the facility’s operator, has reported that radiation readings of 530 sieverts an hour have been recorded inside the reactor 2’s containment vessel — a figure that experts have described as “unimaginable.” Reactor 2 is one of three reactors that experienced a meltdown and was damaged by the 2011 tsunami. Previously, the highest amount of radiation detected at reactor 2 was a mere 73 sieverts per hour — and even that is more than enough to be extremely toxic to humans. Consider this: just a single sievert is enough to cause nausea, infertility, and cataracts in humans. Exposure to 4 or 5 sieverts will kill about 50 percent of those exposed within a month. At 10 sieverts, you can expect to die within just a matter of weeks. The 530 sieverts of radiation from reactor 2 is reportedly enough to kill the toughest robots within 2 hours. Three previous attempts to get robots near the reactor have reportedly failed. What is even more concerning is the fact that the 530 sievert reading wasn’t even taken close to the reactor — the reading was recorded at a fair distance away from the melted fuel. Gizmodo reports that TEPCO claims that there is a 30 percent margin of error, which means that radiation levels at reactor 2 could be as “low” as 370 sieverts, but may be as high as 690 sieverts. Either way, it doesn’t sound like a good time. 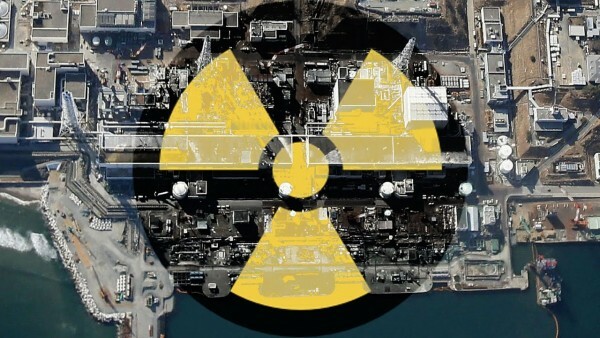 Experts have also warned that the radiation levels at reactors 1 and 3 could be even higher than 530 sieverts. Unfortunately,the melted fuel in those reactors has yet to be located, so no readings have been done. It is worth noting that Safecast — an organization for citizen science — reports that because the 530 sievert reading was taken at a new location where readings could not previously be taken, it does not necessarily indicate that radiation levels are rising. However, in making this statement, they also reveal that the reverse could be true: radiation levels could have been much, much higher than were initially reported after the incident. This is a fairly probable scenario, but at least one thing is for sure: the radioactive material at Fukushima is still far away from any plausible containment procedures. The extreme amounts of radiation at the Fukushima site have put any plans of deconstructing the nuclear power plant on hold: even robots can barely function at such high levels of radioactivity. They are also complicating TEPCO’s plans for exploring reactor 2’s containment vessel any further. In other words, the nuclear material inside reactor 2’s pressure vessel melted a hole through the pressure vessel. Soon, it will probably eat its way through the containment unit, as well. Any effort that could be made to contain the radiation from above will be futile: the nuclear material is already making its way into the groundwater. Even if TEPCO (or anyone else) could get a crew of robots close enough to the reactor, and get them to survive long enough to be useful, there is virtually nothing they can do to stop what is going on down below. Groundwater contamination is on the horizon. The nuclear fuel that is melting away at Fukushima is going to be sticking around in our environment for a very, very long time. Mike Adams explains that some of the melting fuel rods at Fukushima are MOX fuel, which contains Plutonium-239 — a radioactive isotope with a half-life of 24,000 years. “So sometime in the year 26000 A.D. the Fukushima nightmare will be HALF as toxic as it is right now,” Adams states.